3CR844293 3Com Refurbished SSII NETBuilder SI Router, AKA 3C8442 - MTMnet, Inc. 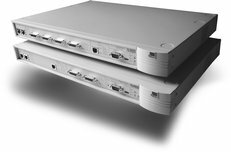 The 3Com 3CR844293 refurbished NETBuilder SI Router with 128bit encryption & 3DES supports Secure VPNs. -This router is basically a 3C8442 NETBuilder SI router with more processing power and memory. Faster Processor then the NB SI router!